To feed offtaking canals located upstream of the cross regulator. To help water escape from canals in conjunction with escapes. To control water surface slopes in conjunction with falls for bringing the canal to regime slope and section. 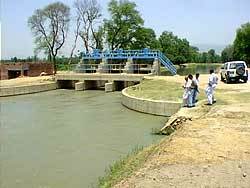 To control discharge at an outfall of a canal into another canal or lake. It is also called a canal head regulator. 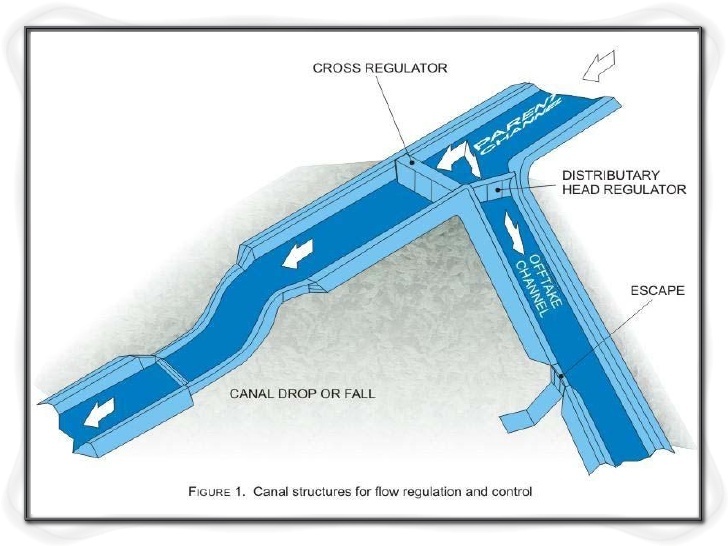 A cross regulator is generally provided downstream of an offtaking channel so that the water level upstream of the regulator can be raised, whenever necessary, to enable the offtaking channel draw its required supply even if the main channel is carrying low supply. The need of a cross regulator is essential for all irrigation systems which supply water to dis-tributaries and field channels by rotation and, therefore, require to provide full supplies to the distributaries even if the parent channel is carrying low supplies. Cross regulators may be combined with bridges and falls for economic and other special considerations.